My Most Beautiful Post: Apple Compote Financiers. I think you all will agree with me on this one, don’t you? The name is complicated but the recipe is very simple and the end result you see for yourself. I have received lot of compliment for this post and few people did try this too. 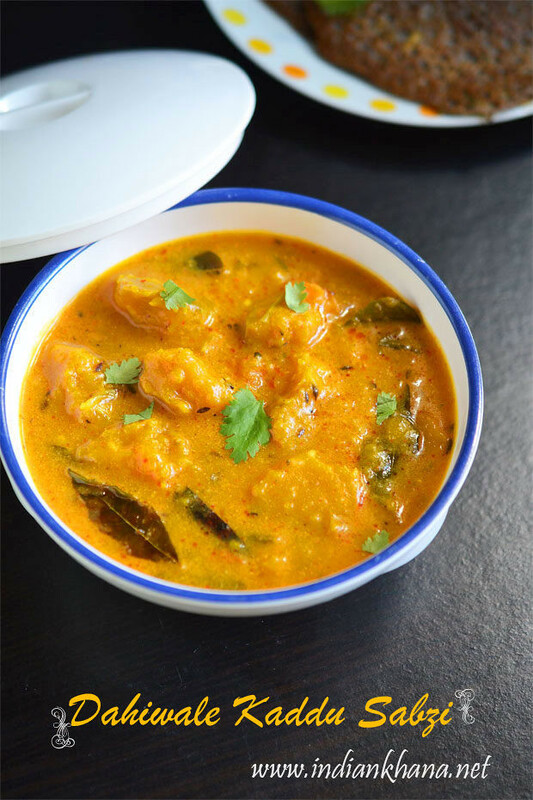 My Most Popular Post: Prawn Masala. This recipe was 1st non-vegetarian recipe on my blog which was done by Sis and BIL, so far this is one post that tops high number of hits for each month and top in search too. 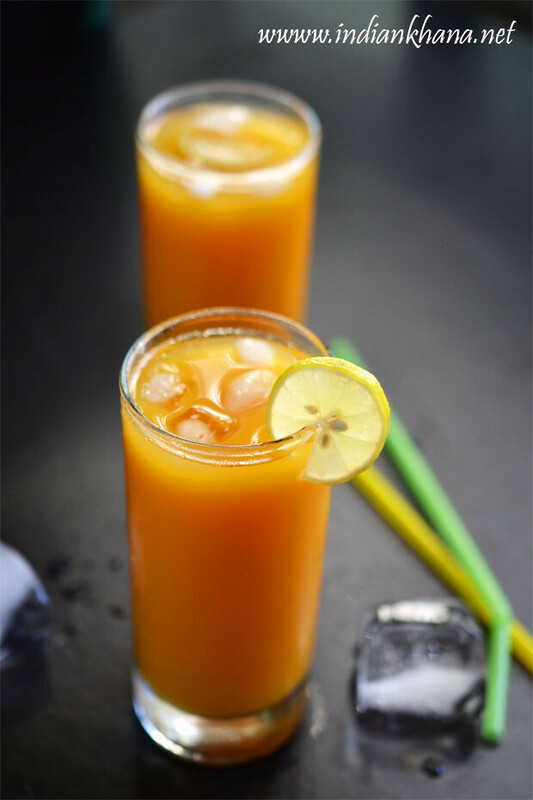 This is one recipe where I got maximum feedback from readers, few have commented in blog and lot of people mail me with full appreciation for this recipe. Some times simple things makes big difference and this masala prawn is true example of that. The Post I Am Most Proud Of: Eggless Chocolate Chip Cookie, These cookies I baked for my nephew, after eating these cookies my BIL, Sis and nephew declared I am good baker it’s so difficult to get compliment from them. Them n my colleague both said these cookies taste just like shops one’s, what else to make me happy. Few of my friends tried it and loved too. 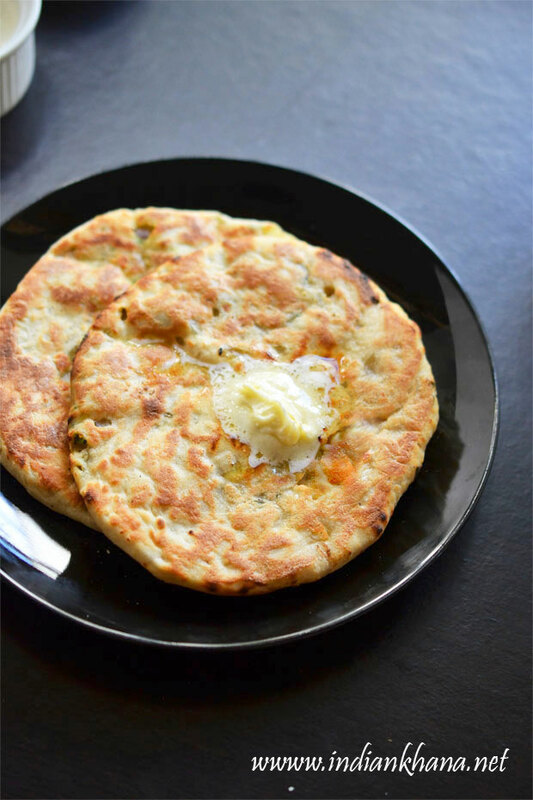 Most Useful Post: Chawal Ki Roti. 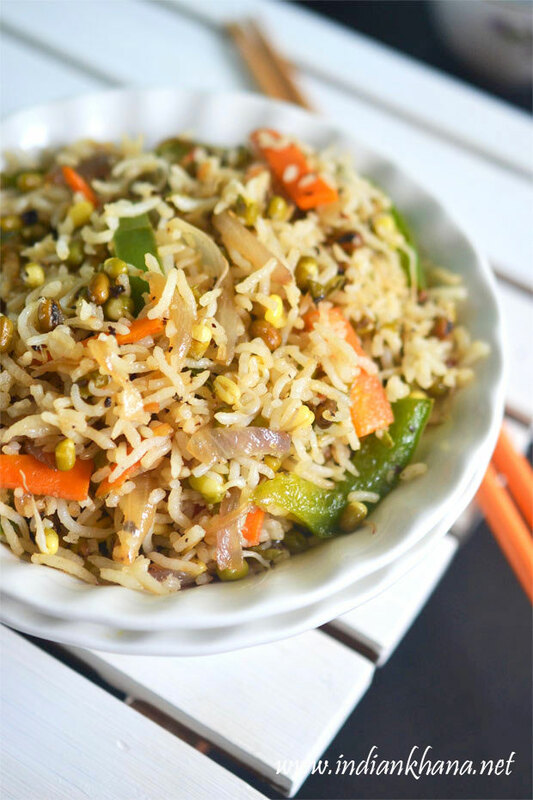 This is one of the best use to use leftover rice and prepare a tasty dish. Most of the time I do this, lot of readers and friends has tried this and loved it. 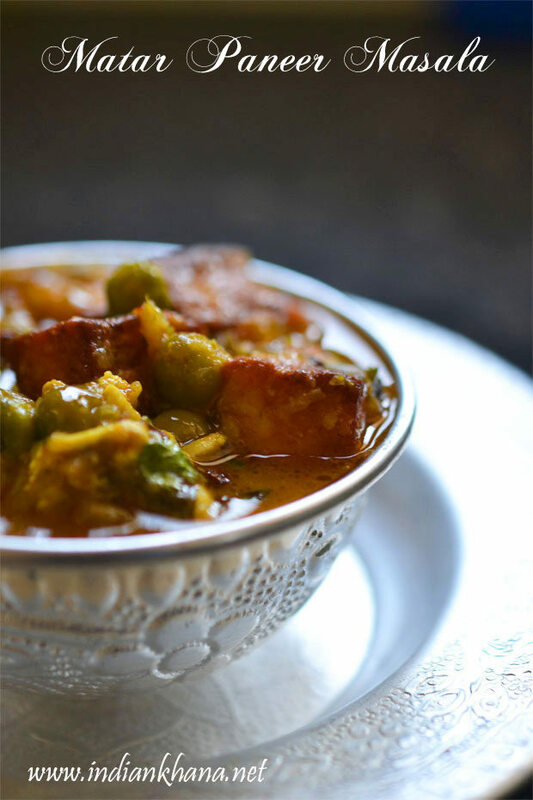 Surprise Success Post: Aloo Gobi Ki Sabji. One of my another popular post, it’s easy, delicious and very authentic recipe. And this is one recipe for which I get lot of compliment every time I make this. Again received good feedback for this recipe too. Another post surprise successful post is Murkku Sandwich. I never expected to get the huge response I received from this post, lot of query and lot of people tried it. Post Which Deserves Attention, But Did Not Get As Much: I have lot of posts which needs attention If I have to point now I would say Marmer Cake, It’s a very simple recipe with a tasty result, it looks so pretty still didn’t get much needed attention ! I would like to tag Lubna, Ramya, Indrani, Ramya Bala, Sapthna, Faith & Priya. I guess most of you will be busy with Diwali shopping, cleaning and with all the sweets & savoury preparation, among all this busy things we also need to think how to decorate our home, what new things to try. My sister does this so well, each year she will choose one colour and theme, she will plan well and do the work effortlessly on the D day. So I thought I shall share some of the Diwali home decoration ideas with you to give you guys little ease. Do let me know if you liked the post. We shall start with Rangoli as most of us do that whether it’s outside of house or inside. Here is simple rangoli and a diya on centre, on entrance. You can also try Pookalam or flower arrangement. A simple and quick design also bring lot of festive mood. Floating Candles arrangement is very attractive and inexpensive idea and it’s looks very pretty. Keep it any where around the house and made the area looks special. You can match the candle’s shape, colour with your theme. A simple floating candles arrangement, used here fresh flower petals with few pebbles and candles of different colours. Or go little detailed and do this decoration with fresh flowers. Fresh flowers arrange on top of water with just one candle in the centre, looks pretty isn’t it? After lighted up it looks like this, very festive what you say? Oh you notice the change of candle? That’s cause the candle was sinking so I replaced it with diya/oil lamp and I think this looks much better. Show you guys dinning table decoration. You can keep fresh flowers for a simple and elegant look and that’s bring freshness or go little elaborate like the below picture. You can use a table runner, if you don’t have one at hand it’s fine. Use your dupatta or sari ( I am not responsible if you end up having any strain on your favourite saree or dupatta ) so be careful while serving or eating. This is a saree in light cream colour with flowers petals along a centre piece arrangement. A light colour table runner is used cause the backdrop wall is dark colour of red. Keep few candles in dinning table too if you have the space. And this is the centre pieces on the dinning table, a very simple arrangement with a candle on side. I am going to sum up the post with some pooja place decoration idea. My mom would make a simple rangoli or kolam around the pooja area, you can do that. Here my sister used a new saree and dupatta to decorate the wall and bring some Indian look. No, this is not your cup of tea? Never mind we go simple with just some floating candles and fresh flowers. Or try with some simple rangoli design, flowers, diyas, and some Christmas decoration items. Do you like tomato soup? I am sure most of you going to raise your hands,the how about do you like tamatar ka shorba? Well, tamatar shorba is spiced version of tomato soup and it’s definitely more delicious than normal tomato soup. Whenever I get fresh, juicy tomato I prepare this shorba since DH like this a lot, infact this is the only soup that makes him happy of all the soups I make. This is one of the easy soup to prepare, just pressure cook everything, blend and simmer and the best thing it’s oil/butter free can it get better than this? 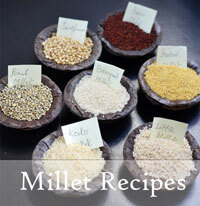 It makes a excellent soup for any get together or potluck, try it to know what I am talking about. 1. Wash and chop onion, tomato, green chillies and beetroot. 2. In a pressure cooker container add all the ingredients with 1 cup water except fried bread pieces, besan and sugar and pressure cook for 3 whistles. 3. Once pressure released discard all garam masala like bay leaf, cinnamon, clove & blended everything using a mixer or blender. 4. Add the puree in a pan with 2-3 cups of water and bring it to good boil. Add sugar and simmer for 2-3 minutes in medium heat, adjust salt & pepper if needed. If you want to make the soup thick, mix 2 tsp besan with little water and add to soup after 1st boils comes. I didn’t add. Our soup is ready. Have hot soup with few fried bread pieces and relish. ~ Water quantity depends on how you like your soup, I like little thick so I added around 4 cups of water. ~ You can strain the puree before boiling, I normally don’t do this for most of the soups. ~ Discarding all the garam masala items used is important. If you don’t discard all masala and grind it then soup will be very spicy and this spiciness is very sharp you won’t be able to drink it, this is from my experience! ~ You can do the cooking in a open pan instead of pressure cooker. ~ You can add 1/2 tbsp of butter while boiling soup. Before preceding further I want to wish Happy Karwa Chuath to all celebrating in advance. I am sure you gals must be busy doing the prep work for the same & other whom doesn’t know Karva Chuath is a Hindu Festival (some Sikh women celebrate too) where married women keep fast from sun rise to moonrise for their husband’s well-being and longevity. 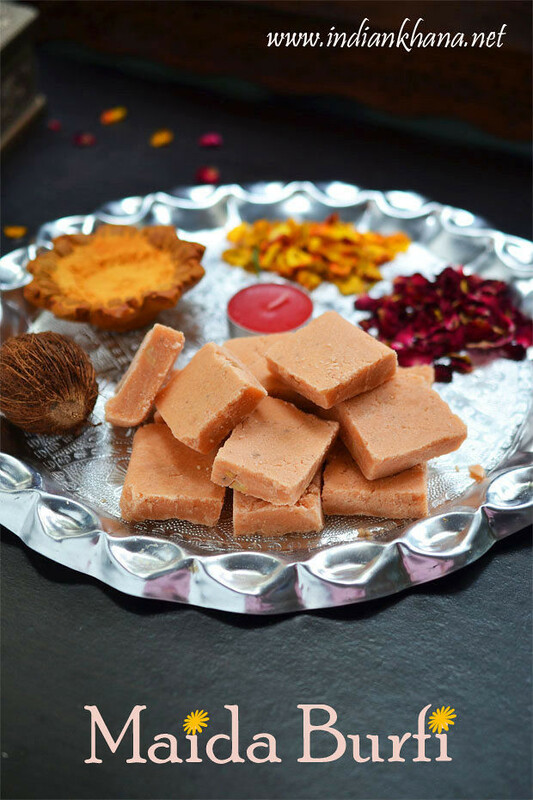 After breaking fast there will be a feast, you can try this badam burfi for karwa chuath too. 1 Make almond flour as mention in this post. 2. Heat a pan/wok and roast flour for a minute, stir continuous to avoid burning. 3. Add sugar and stir again for 2 minutes do this on medium flame, if you rest for 5 seconds too, flour colour will change to brown. Now add cardamom powder, 2 tbsp of milk and mix well. 4. Keep on stirring until it forms a mass, start leavening edges of wok and forms a smooth dough/lump. While stirring try to smooth the mixture with back of latter. 5. Grease a plate with ghee and pour this mixture, spread it evenly in thin layer, you can use rolling pin and roll it too, allow it to cool for 2-3 minutes. Now spread the sliver warq, press the warq with the butter paper so it’s stick to the katlis well. Cut in desire shape with cookie cutter or in square/diamond shape and once completely cooled, store the pieces in air tight box if anything left to store ! You can keep this in fridge up to a week. Our badam katli is ready. Don’t worry about the sliver varq not properly applied on each pieces that’s fine, we are not looking for shop like katli/sweet here, the little un-perfect things only makes this home made katli or any sweet so perfect and homely. I just feel this way, you doesn’t have to think same! 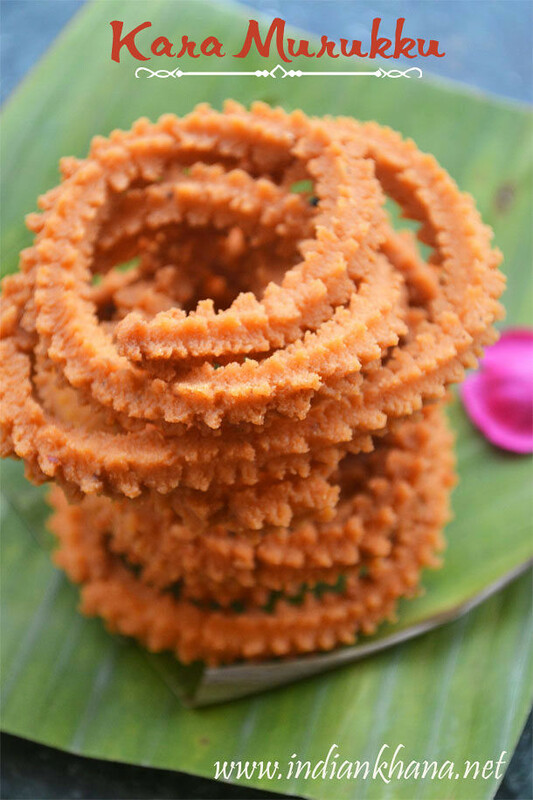 ~ You can blanch almonds and grind it along with 2-3tbsp of milk and then make the katli, follow the same step other than adding the milk part. ~ If while spread the mixture you think it’s too dry add 1-2 tbsp of milk and knead it to make a smooth dough. Be careful while doing this as it will be very hot. ~ I used blanched almond flour and with skin almond flour so the colour it’s little brown, if you use blanched almonds paste or flour it will be in lighter in colour than this. ~ Adjust sugar to your taste, you can use 3/4 cup or 1cup sugar too. Generally badam katli, kaju katlis are not very sweet but just mild. Enjoy the festive and the katli too. Dahi Bhalla or Dahi Bhalle is similar to Dahi/thayir vada. 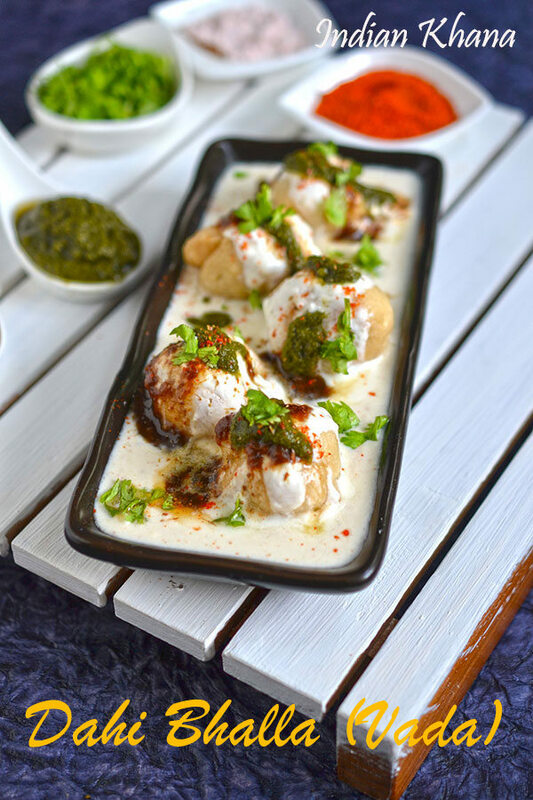 Today we will learn how to make Dahi bhalla chaat which served with sweet and green chutney along spices which makes these dahi bhalla much more flavorful and a perfect chaat. 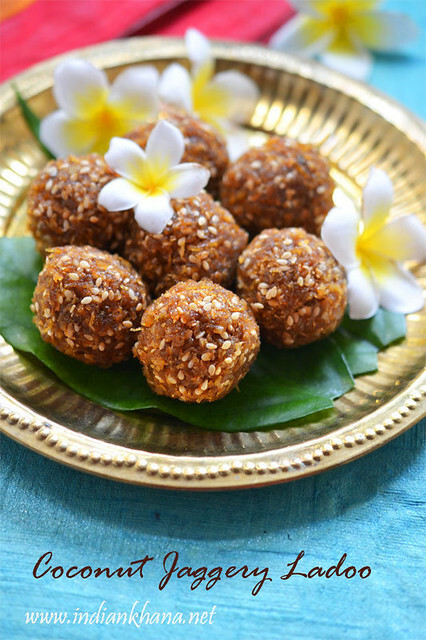 My mom would make this dahi bhalls on each Diwali morning and we would have this as breakfast along with other Diwali goodies and rest of it will be kept for guests as during Diwali day there will guests dropping by to exchange sweets. If you have people coming over for gift/sweet exchange or lunch/dinner then this dahi bhallas can be very refreshing other than usual sweet and savory items.